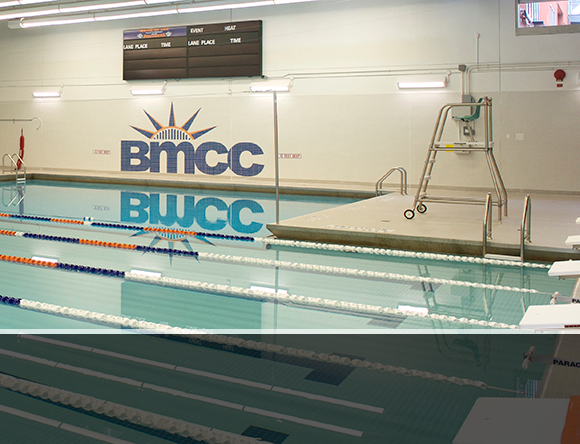 Over the past few years, the BMCC Swimming Pool has gone through extensive renovation process and finally reopened on August 1, 2018 offering community residents the opportunity to lap swim in our state-of-the-art swimming pool at the main campus, entrance at 77 Harrison Street. 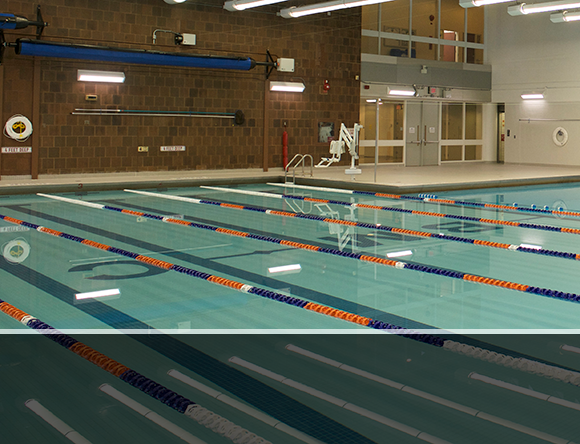 The pool features 6 lanes, each of which are 6' wide and 25 yards long, with a depth of 4 feet. Participants can either register online, by phone, mail-in or in person to access our pool. To qualify for the senior discount you must be 65 and over and you must present a valid state id at the time of registration. In-person registration is done at BMCC's Center for Continuing Education Campus at 25 Broadway, 8th floor. PLEASE NOTE that the Photo ID's are not given at the Continuing Education, 25 Broadway location. All IDs will be processed at BMCC's Public Safety Office, 199 Chamber Street Room S212.